A highly detailed book on Balanchine technique, written by one of his former principal dancers, now a leading teacher at the School of American Ballet. 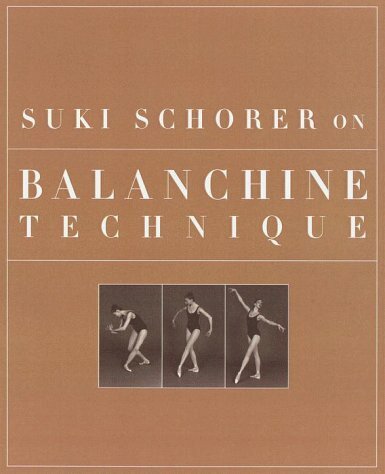 <br /><br />When still a young dancer in the New York City Ballet, Suki Schorer was chosen by Balanchine to lecture, demonstrate, and teach--he recognized in her that rare dancer who not only performs superbly but can also successfully pass along what she knows to others. Now, she commits to paper the fruit of her twenty-four-year collaboration with Balanchine in a close examination of his technique for teachers, scholars, and advanced students of the ballet. <br /><br />Schorer discusses the crucial work at the barre as well as center work, port de bras, pointework, jumps, partnering, and more. Her recollections of her own tutelage under Balanchine and her brilliant use of scores of his remarks about dancing and dancers lend both authority and intimacy to this extraordinary analysis of Balanchine's legacy to the future of dance. <br /><br />Profusely illustrated throughout with instructional photographs featuring members of the New York City Ballet, this book will serve as an indispensable testament to Balanchine's ideas on technique and performance.<br /><b>From the Preface</b><br /><br />At Balanchine's instigation I began to teach in the early 1960s while still a member of the corps de ballet . . . One day, as I was adjusting a tendu front in a class of nine-year-olds, Balanchine walked into the studio with Lincoln Kirstein, the school's longtime president. As they left, I heard Mr. B say to Lincoln, &quot;I knew she would get down on the floor and fix feet . . .&quot;<br /><br />I believed in Balanchine. Seeing and then dancing in his ballets made me believe in his aesthetic. Sharing the life of his company and school made me believe in his approach to work and to life in general. In my teaching, in my lectures, in my writing, and in videos on the technique, I have tried to convey not only his aesthetic, but also his beliefs about how to work, how to deal with each other, and how to live . . .<br /><br />My purpose in writing this book is to record what I learned from him about ballet dancing and teaching ballet, insofar as that is possible on paper . . . By helping others deepen their understanding of Balanchine's art, I hope to contribute in a small way to the preservation of his unique and extraordinary legacy.